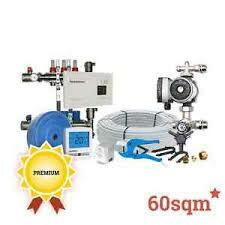 Sole heat is the manufacturer of numerous kinds of under floor heating appliances and the plumbing machinery. It is the name of an online market also where you can place an order to make your home as a cosy one. Sole heat has renovated the floor heating system in both of the media like wet heating and electric based heating. Millions of customers had regularly visited the site daily. If they want to buy the products, they can order with this website and get some special offers also. Sole heat offers the free delivery of their floor heating kits just after the valuation crosses £200. In the UK, this Soleheat is a special name for the underfloor heating system and the plumbing appliances suppliers’ world. They have opened their online stores where you can easily take a visit to enjoy this cosy warmth in your home also. The concept of under floor heating is continued from the Roman emperors. In the Roman system, woods are burnt under the marble floor and the entire system was monitored by the group of slaves. It is easy to hear that at present Sole heat has enabled you to experience the royal heat in your own home. But, nowadays, it’s not only the wood burnt system, or any inconveniences with the hot packets to make your floor hot but it is a total cost and energy efficient system of Soleheat to make your floor radiating in according to your choice. You can take this system for one or two rooms of your home otherwise you can heat your entire house according to your budget. You can cover anyone between two kinds of packages from the house of Sole Heat. In this system, wet heating needs the continuous pipeline across the room. Through this pipeline, warm water will be supplied to your floor to make you hot. In this system, the pipeline will be connected with the central water storage system of your home. flammable network, so you have to be cautious about your padded carpet. After installing the underfloor heating system, you have another responsibility to check the room temperature constantly. If your room temperature crosses the limit of 27-degree Celsius, you have to arrange the thermostat also to maintain the temperature below or within 27-degree Celsius. Otherwise, it may cause some fire-related accident. In this aspect, don’t use well-insulated carpeting over your radiating floor. It can lessen the effectiveness of the heating system. Try to avoid a carpet made up of Polyurethane components. 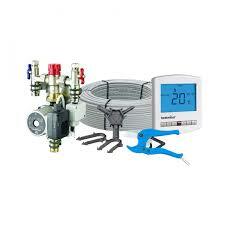 Another thing, make a strict supervision of your underfloor heating system. You can direct your installation executive to place the heating system directly with and above the thermal insulation and beneath the carpet. How you can contact Soleheat? These are the entire discussion over the Soleheat underfloor heating system. If you want to buy this you can place an online order. You can contact Soleheat through their email id info@soleheat.co.uk. Or can directly hear their voice over the telephone number 09331564. Sole heat is waiting for your voice. Co-operate with Soleheat and give your family cosy warmth. Head over to https://soleheat.co.uk/ to find out more. This entry was posted in Soleheat and tagged Soleheat. Bookmark the permalink.